Kunal has made online courses with Google, Udacity and MIT that have reached over 2 million learners worldwide. 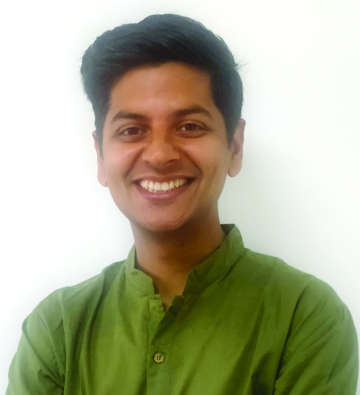 He also co-founded Chalees Minute School, an online learning space for middle school students in India to learn math and science in 40 minutes or less. Prior to starting Chalees, Kunal taught 6th-grade science at a school in New Delhi, helped build Google’s online education platform, and worked with an educational enterprise in rural India. Kunal has also written prolifically for education technology magazines like EdSurge and his work has been featured in the New York Times. He holds a BS in Computer Science from the University of Texas at Austin and an MA in Education Technology from Stanford University. At Arpan, Kunal is responsible for making online courses that support Arpan’s mission of creating a world free from child sexual abuse. He has been associated with Arpan since 2018.